Over 71 years ago Olin Camper, Saddle Club President, supplied the stock and Mary Mongtomery Jagow was crowned Rodeo Queen for the first annual Stampede Rodeo. 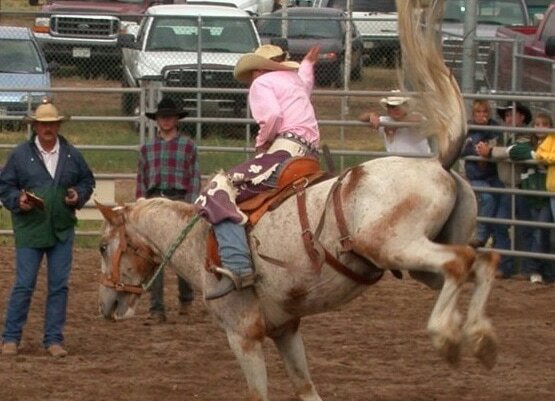 The tradition of the Stampede Rodeo has been a tradition of the Custer County community for generations and continues to be one of the most popular summer events in the valley. Founded in 1937 by four local ranchers Rock Canda Sr., Jim Christoff, Jack Geroux, and Bud Camper, the Wet Mountain Valley Saddle Club was created as a place to race horses. A natural out-growth of the saddle club was rodeo. 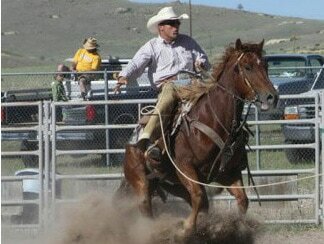 The first rodeos took place in an arena formed simply by a circle of cars. In 1940, a group of generous club members donated $1,000 each to build a permanent arena built on the site of the current rodeo grounds.